All teeth, brown and white. Abba is a dog with extremely strong hunting instinkt. He is very independent by character. 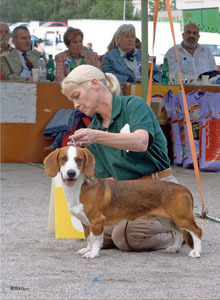 Abba is a very successful showdog. 12.02.2008 a. He is gone to the forest and away till now.